The Gillieru Harbour Hotel, Malta, is a pristine example of why St Paul’s Bay is such a sought after holiday destination; the inviting waters glimmer perfectly; the rustic hill top backdrop is beautifully scenic; and the picturesque coves that tie the bay together are to ‘dive’ for. As your eyes climb the simple yet striking off-white palace that conforms to the classic Mediterranean style of architecture, it’s clear that you are in good hands. From the moment you enter the marble floors in the grand reception hallway, the interior presents a cool, fresh character which will charm every guest. The Gillieru Harbour Hotel, Malta, offers double and twin bedrooms which are air-conditioned and reflect the overall refined style that is evident throughout the property. The radiantly rustic theme characterises most of the furnishings, delivering a comforting, homely feel. The highlight is surely the sea view that comes optional with both room types; the archway that leads to the balcony reveals a slice of Maltese paradise as deliciously crisp cyan skies hang above the unblemished turquoise waters. 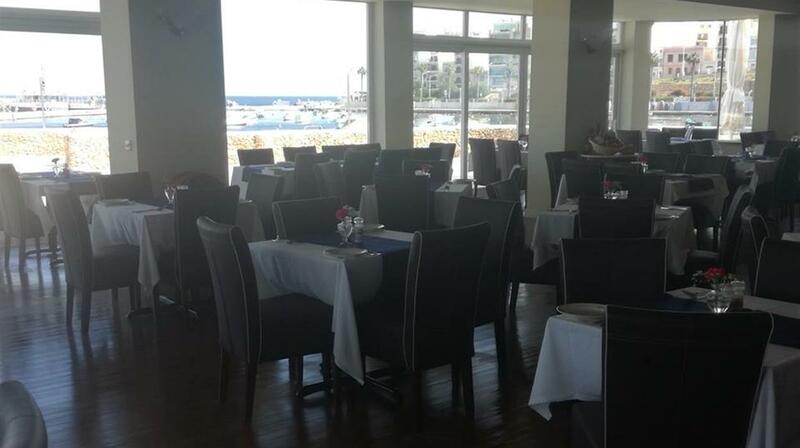 The Gillieru Harbour Restaurant (located next door) proviodes a variety of fresh and international cuisine. The Gillieru Harbour Hotel, Malta, offers double and twin bedrooms which are air-conditioned and reflect the overall refined style that is evident throughout the property. The radiantly rustic theme characterises most of the furnishings, delivering a comforting, homely feel. The highlight is surely the sea view that comes optional with both room types; the archway that leads to the balcony reveals a slice of Maltese paradise as deliciously crisp cyan skies hang above the unblemished turquoise waters. The Gillieru Harbour Restaurant (located next door) proviodes a variety of fresh and international cuisine. Most rooms have a balcony (4 rooms without). Seaview rooms look out to St Paul's Bay and inland rooms overlook the small square, quaint chapel and road. Wi-Fi free in lobby and at a local charge in rooms. Price guide (may vary): 60mins (use within 24hr) - €3, 24hr use - €6. Disabled Facilities: Wheelchairs can access the hotel and the lifts. However, there are no disabled facilities. The property and area are not suitable for persons with mobile difficulties. St Paul's Bay is a wide inlet which runs for more than 3kms, with a modern and interesting promenade along most of its shoreline. The old fishing village (close to the Gillieru) still occupies the stretch of shoreline from Ghajn Razul to St Paul's Tower. The lively areas are concentrated within the promontory east of St Paul's Church - Bugibba and Qawra – where many catering establishments and tourist amenities have been successfully developed into creating the largest and most popular seaside resort in Malta. The many flat rock platforms and coves along the seafront are brilliant for soaking up the sunshine, swimming and water sports. There is a sandy stretch along the nearby Bugibba seafront. Some facilities may incur a local charge. Room mini bar & safe incur local charges. "Enjoyed Malta and people holiday was good value." "Stayed at the Gillieru 12 years ago on return it has improved since then. In the restaurant for breakfast is self service now and the choice of food is excellent and the 2 ladies working there are friendly and helpful. " "Exceptional staff and location. Immaculately clean and staff courteous and attentive going beyond their duties to make me feel welcome and looked after"
"Love this hotel have visited many times. 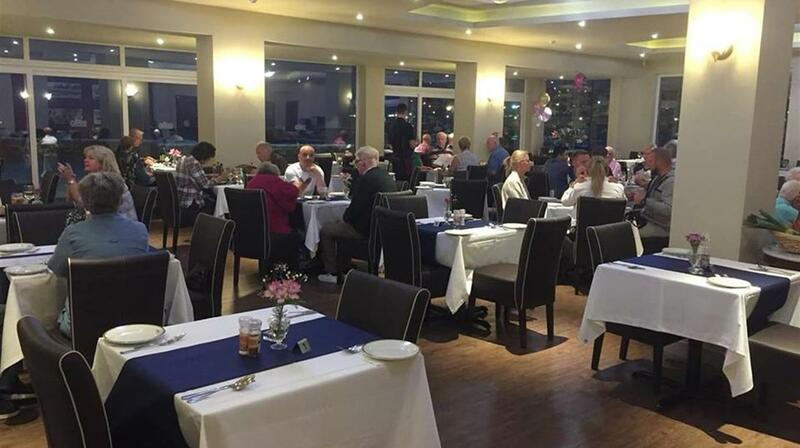 Great staff marvellous view and evening meal was very good this time." "Have stayed here many times and lovely the hotel and staff who are very helpful and welcoming. The view is spectacular. Evening meals have much improved and was able to eat a lot of fish. Staff are extremely nice and helpful. We love the atmosphere of the hotel very efficient but also laid back." "We just love staying at the Gillieru. It's far enough away from the bars and restaurants in Buggiba so you don't get the night time noise but it's close enough to stroll there in 10 minutes. The n012 bus stops almost outside the hotel taking you into Valletta. Marvellous. As for Chevron we wouldn't book with anyone else. Top notch." "Have been to Gillieru many times always been happy with all aspects the staff particularly excellent from Marie Rose in reception and Rita the housekeeper to name a couple but all staff do a wonderful job . However we are both perturbed by no evening meals and no bar in hotel Why ? A great deal of the people who use this hotel are elderly and cannot get about so easily so closing the bar and restaurant makes it very difficult for them . My wife and I are still ok with getting about but very many people are in a difficult situation and many were saying they are not coming back again after many years of using this hotel . A great shame I think but what are the owners doing about it. Congratulations on your wonderful rep Karmela she is always so happy to help you out in any way a real boon to your company. ""We are advised that Half Board will be available after the hotel reopens in April 2016 after the refurbishment. " 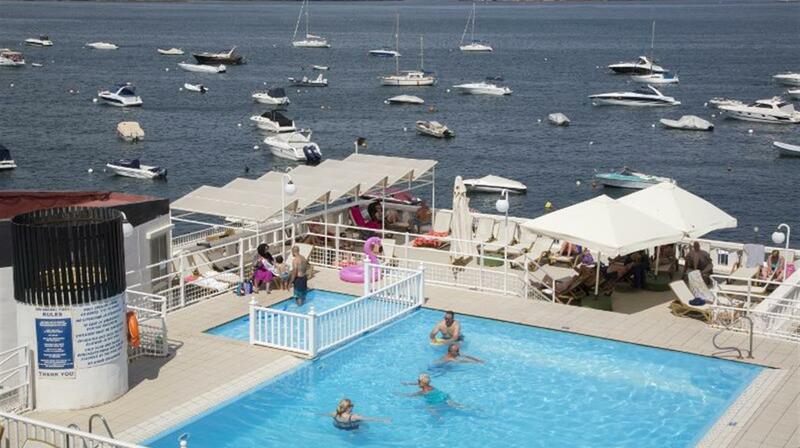 "Really pleased with service offered by Chevron Holidays and would have no hesitation to recommend the company. Very competitively priced as well. The Gillieru has a wonderful sea front location with good front of house staff. Don't go expecting a standard plush 4 star hotel because it is very basic in comparison. However be re-assured by the number of repeat guests who go every year - we saw at least 8 parties that we recognised from previous visits! Valletta is beautiful and Malta is an easy country to explore both by car public transport and organised tours." 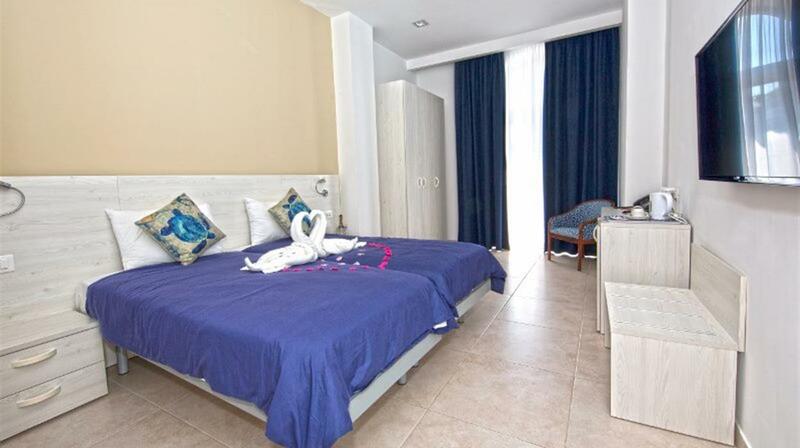 "Hotel was very clean and tidy. Clean towels and rooms sorted every day. Fantastic views from the pool. Our family have been here on several occasions and yes there are some strange options for breakfast for us in uk but had what you would expect egg sausages beans mushrooms tomatoes cereal toast jam and continental breakfast. We also booked for evening meal which was 100% better than last year. It was a set menu but had a choice of white meat fish and red meat each night. It was waitress service too compared to the buffet last year. All staff were very accommodating and friendly as usual. We were on the 3rd floor looking over the road side which was a little noisy at times but we have stayed in those rooms before as we have a toddler and the rooms are cooler. Overall another good holiday all round." "Fabulous holiday and the Gillieru Hotel was great. Everyone was accommodating friendly and helpful. 10 out of 10 to Chevron for making it all possible and so easy." 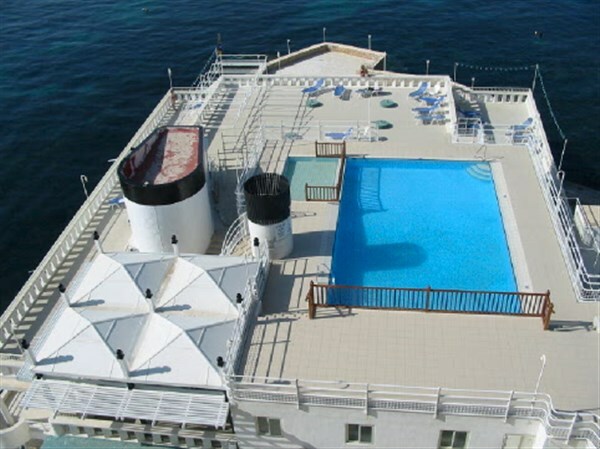 "Congratulations to all your staff from booking to your marvellous transfer drivers & especially Karmel at the Gillieru ( your rep ) have been many times with Chevron to Malta and will continue to in the future well done everybody thank you for making our holiday more enjoyable and worry free"
"Hotel was good value as always - impressed with the upgraded bathrooms. Breakfast has also improved although I missed the old staff topping up my cup of tea! My dad's room was very small with only a partial balcony/views but they kindly moved him after 4 days when the hotel was no longer full. The location was fantastic - quiet with nice views. Air Malta flights are worth the extra few pounds. Disappointed with the transfer back to the airport as we were crammed in and the driver sped excessively." "The hotel staff were friendly and helpful. The rooms were clean good and the views from my room were panoramic. Breakfasts were of a reasonable quality apart from the orange drink and the sausages. The quality of the evening meal was variable. The soups were slightly salty but otherwise fine and the sweet was a bit monotonous. The flight back was delayed by two hours hence mark for Air Malta." 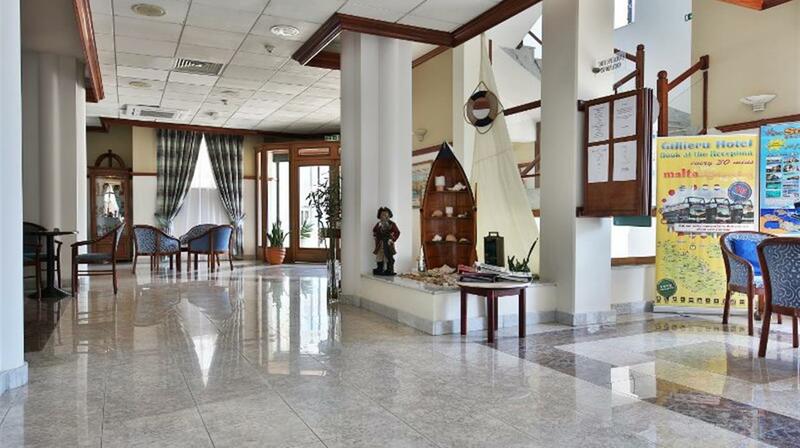 "Lovely located hotel and all the waiters and waitresses were very polite and attentive. Food at breakfast and dinner was very good on the whole although it would have been nice to have had the choice of ice cream for a dessert instead of just cakes or fruit. Room had maid service every day but the bathroom wasn't always cleaned properly and some of the towels were a bit dirty and worn. Definitely take a 20 minute boat trip around the Blue Grotto caves as it is a beautiful and peaceful place. Also take a day trip to the island of Gozo it is only a 20 minute ferry ride. The island of Comino is not so good for the infirm or not so sure footed as is very rocky with no proper footpaths so make sure you wear trainers or shoes with a good grip! " 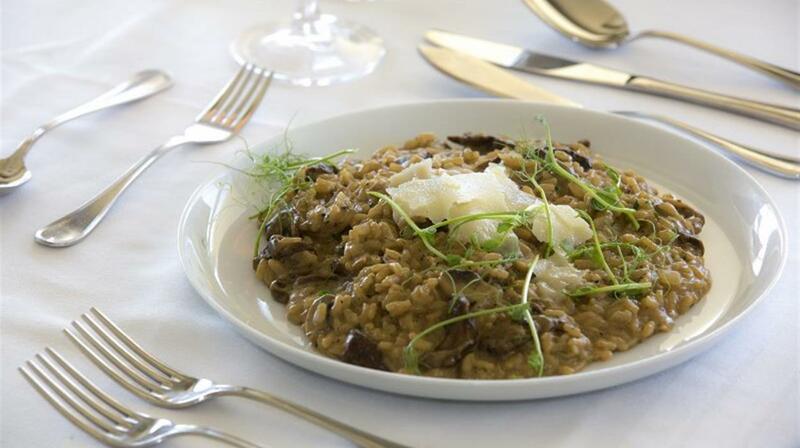 "Apart from the food at dinner this hotel was good .Ideal location with brilliant sea views (a must! worth the money ).Towels and sheets tatty and grey but were changed regularly .We tried the dinners for 4 nights hoping it would improve but asked Chevron rep to put us on to B&B and they refunded our half board After that we ate out in the evening It wasn't the lack of food that was the problem it was having someone to cook it so that it was palatable!!!! .Air con in our room worked well and not noisy .Swimming pool (salt water) and surrounding area was kept clean at all times. I found the hotel staff to be pleasant especially the girls in the restaurant . Overall we enjoyed our holiday mainly due to Being based at St Pauls Bay was a plus as we had no difficulty getting about the islands for 2.6 euros you can get a day pass for the bus and go see the island ! !Excellent value and you get the bus a 1 minute walk from the hotel .Although this area is quiet it is only a ten minute walk to the hustle and bustle of Bugibba . By what I have written I would not like to put people off going to this hotel as the location is stunning .Its just a pity the owners don't realise this and try to improve on their services I am sure if that was done people would be only to willing to pay that bit extra! !I know I would. "Management has noted this review and is very sorry expectations were not met. Chevron will watch for any further dissatisfaction. "Good friendly hotel as usual. Forget car hire try the buses. For just over Â£2.00 per day each you can travel all over the island. However try not to sit right at the back of a bendy bus!" "Friendly accommodating - needs a little TLC but good value for money. Travel around on the buses - forget booking tours - do it yourself. Alas the wonderfully eccentric Malta Buses are extinct but watching bus drivers negotiating ancient streets in Arriva ""bendy"" buses is a treat in itself." 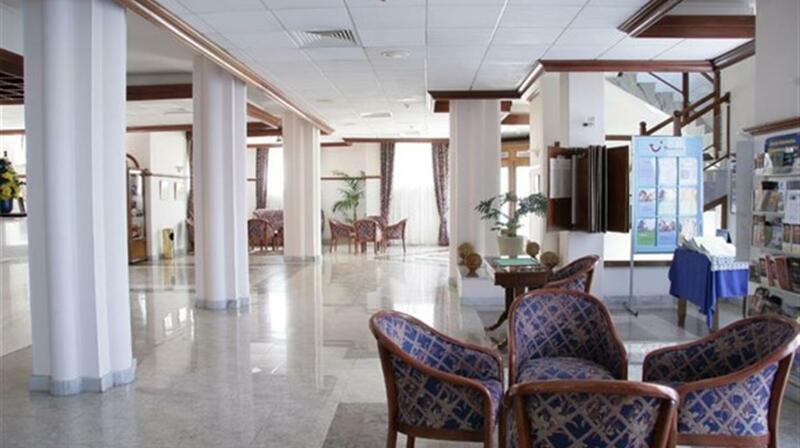 "Has a wonderful location and is a fairly quiet hotel set along the promenade from the centre of Buggiba with a bus stop a few yards away from the hotel to take you to the shops and cafes or on to Valetta and other places of interest. 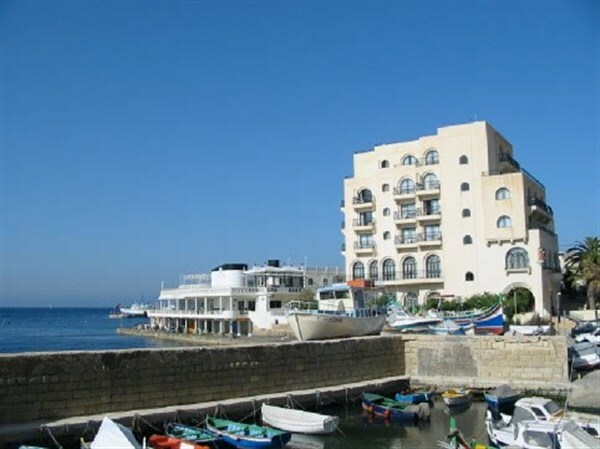 I have been to this hotel several times and recommend it to anyone who intends to visit the Maltese Islands. I have always enjoyed my stay at the hotel as the staff are friendly and the location the best I have encountered." "All went smoothly. We didn't meet rep but were out and had no need to make contact. Recomend: Use of buses - excellent service. People generally friendly and helpful. Island has a lot to offer. Our pick up guy was extremely helpful pointed out places to visit which we followed up on." "Once again our stay was excellent asked to move room and this was done for us without delay. The staff are so helpful the food good the lifts are a bit temperamental but apart from that this is the hotel for us. " "We requested a move from the room allocated this was done the next day after the Rep spoke to the receptionist. Easy access to most parts of Malta using the much improved Bus service. 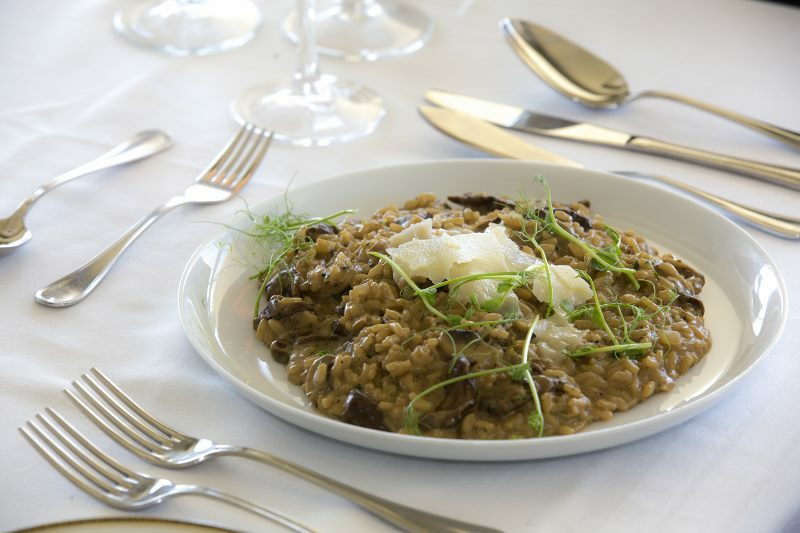 The staff were brilliant the food was very good and varied each day. " 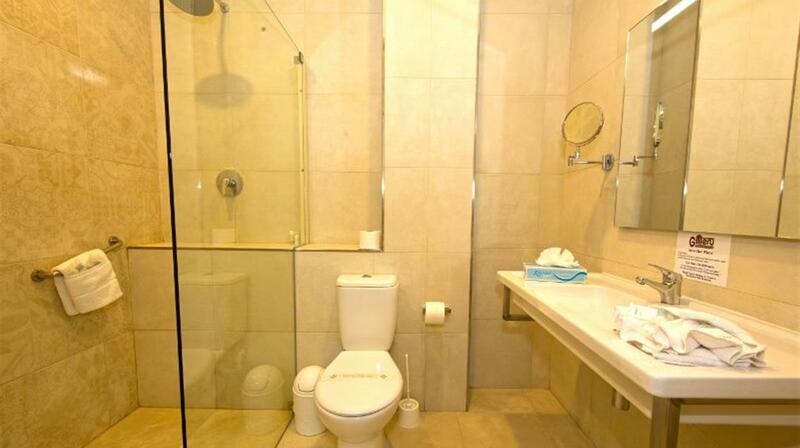 "Very friendly and charmingly situated. Great staff. The Chevron website is particularly easy to operate enabling us to compare departures/ packages at a stroke meaning we achieved excellent value. The staff were unfailingly helpful even ringing us before we left UK to advise us of a 2hour delay in flights so we weren't sat around the airport longer than necessary. Malta representative also charming and helpful." "Having been to Malta a number of timesI would still book same hotel I think it need updating My holiday overall was great." "The hotel was everything we could of wished for.Friendly staffgood room & great sea views. Buy a day ticket for the local bus & travel anywhere on the island." "Recomend: Location of hotel resort public transport"
"hotel situated in quiet location but 10 minute walk gets you to the centre of busy Buggiba. good experience all round"
"Loved the hotel its location the staff my lovely sea view room. The only disappointment was the housekeeping in the bedrooms - I would stay here again though. Recomend: The excellent Chevron service and value. This is the 3rd time I have travelled with Chevron and now I would not use anyone else to travel to Malta. I go at least once a year and I think your service is really outstanding." "Great holiday and will be back next year. This is my first visit to Malta you either love it or hate it and we LOVED IT"
"Excellent service friendly helpful staff. If you have not tried Malta give it a go you will not regret it"
"Our first visit to Malta..it did not dissappoint.Overall St.Pauls Bay an excellent choice also Gillieru Hotel. Excellent travel links via local buses Valletta & Mdina a ""wow""." "Good location and friendly/helpful staff. A visit to Gozo is a must. We wish to thank you for your efficient and proffessional service throughout our booking and vacation in Malta and also to recognise the helpful and friendly service of your rep. in Malta "
"Very helpful and friendly staff good food The menu was very varied and plenty to choose from. An excellent location within an easy walk into the town." "Very FriendlyRelaxing. We enjoyed our last two holidays there that we hope to again this year. Recommendations - The excellent service Chevron provide by email or by phone." " Lovely location and very helpful hotel staff"
"Overall v good. Satellite Tv as advertised is a bit mis leading (only Sky news in English). Service and food very good.Room cleaning also very good.Position of hotel also good far enough away from the mor popular Qwara but close enough to be able to stroll there.Would also heve liked tea making facilities in room. I felt the attention I was given was probably better than with a so called larger operator"The hotel informs us that they currently offer the BBC World channel and an Arabic channel that shows films in English. The other channels are mixed languages including Eurosport. "We thoroughly enjoyed every moment of our holiday and are planning to return same time next year think that speaks for itself. Very friendly hotel nothing to much trouble for the staff would highly recommend. All staff could not have treated us an better very friendly and helpful. They made my wife's birthday celebrations very special and memorable." "Enjoyed stay. Good food in hotel staff very obliging. Nice quiet area good walks transport to other areas easy"